Our MULTI Use artificial grass is perfect for primary school play areas so kids can enjoy playing outside all year round, no matter what the weather. A single multi use surface that can accommodate a number of sports is a great alternative to a high maintenance natural grass play area. PST Lawns artificial grass multi-use games areas (MUGAs) allow multiple sports to be played on a single surface so your school can optimise the outside space available. 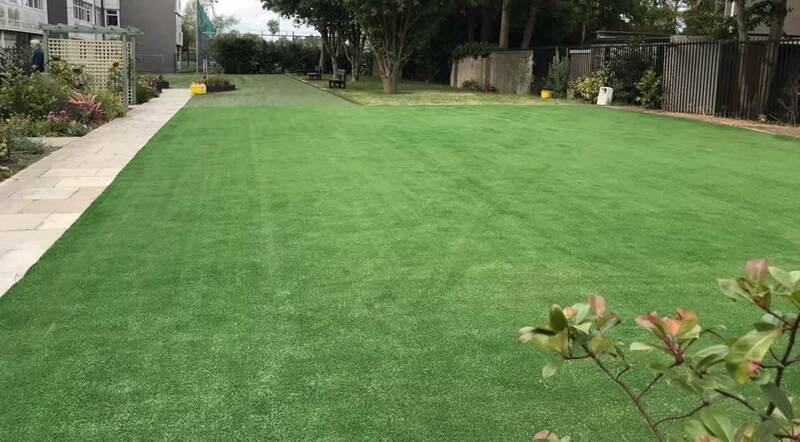 Our artificial grass MUGAs have transformed many school playgrounds creating a soft, clean, non-slip and durable surface that will last for years. Shock pad can also be installed underneath the artificial grass carpet which adds an additional cushioning layer for extra protection. 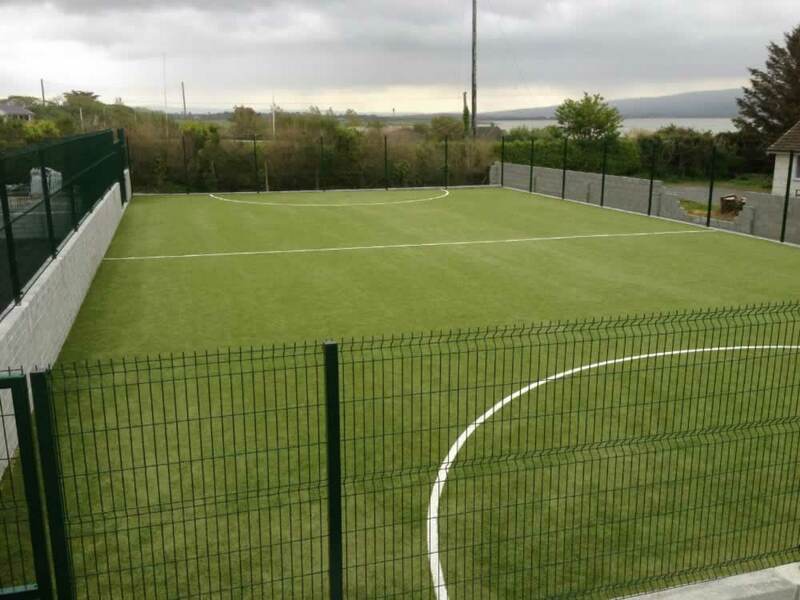 We can also install markings for football, GAA, basketball etc. MULTI Use artificial grass has a pile height of 24mm and is infilled with fine silica sand creating an extremely versatile sports surface. Contact us today to discuss your school’s requirements and see how a PST Lawns multi-use games area facility can benefit your school. LoCall: 1890 917 006 | Email: hello@PSTlawns.ie, alternatively click HERE to contact us.